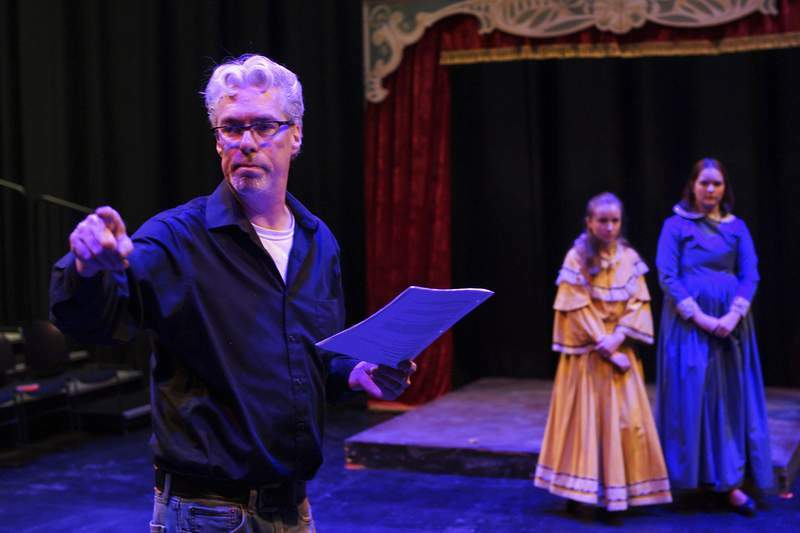 Photos by Mike Moore | The Journal Gazette Writer and director Gregory Stieber works with the cast during a rehearsal for the Youtheatre production “After the Miracle: Helen Keller,” which opens Friday. Where: ArtsLab, 300 E. Main St.
A cast of several dozen is reflecting on the legacy of the deaf and blind Helen Keller, who fought for rights for disabled people. As they walk onto the stage, they name other people with disabilities of all kinds: Stevie Wonder, Stephen Hawking, Ray Charles – the list goes on. It's all in preparation for Fort Wayne Youtheatre's “After the Miracle: Helen Keller,” written and directed by Gregory Stieber, which opens Friday. Stieber says he has had Keller in mind for several years because she is among the most visible people with disabilities in history. Born in 1880, Keller was left deaf and blind by an illness when she was younger than 2. When she was 7, Keller was paired with Anne Sullivan, who began to teach her to communicate by spelling words into her hand. Shortly after came the “miracle,” when she first understood the word for water. Keller eventually earned a college degree and became an advocate for rights for people with disabilities, not just those who were deaf and blind. But people usually hear about Keller for her communication breakthrough as a child, then later for her advocacy work. “So what we're looking at, is right after the miracle, how this young woman became this legend,” he says about the new play. As he was doing research on Keller, Stieber discovered that she and Sullivan had taken part in Vaudeville shows to make money. The pair's time on the stage inspired the format for “After the Miracle,” which is framed as a Vaudeville show. Different types of acts reflect stages of Keller's life and development. For example, as there is a heated discussion about whether Sullivan speaks too much for Keller, there is a ventriloquist onstage. The idea is to compare and contrast the color and frivolity of the Vaudeville stage to Keller, who was a part of it but couldn't really experience any of it. Part of Keller and Sullivan's act was a demonstration of Helen developing sounds in her throat. The act featured Keller speaking the words “I'm not dumb any more,” referring to a term used at the time for people with certain disabilities. Katarena Burke, the 14-year-old actress playing Keller, worked with a speech pathologist. She and Sloan Amburgey-Thomas (playing Sullivan) also had to learn sign language. Members of the League for the Blind and Disabled worked with the cast. “After the Miracle,” which follows Keller's whole life, also looks at other children of her era who weren't as fortunate to have the resources her family could provide. There is also modern context, including an actress giving an excerpt of deaf actress Marlee Matlin's Academy Award acceptance speech in sign language for best actress in 1986's “Children of a Lesser God.” Another actress plays Patty Duke, who won an Oscar for portraying Keller and was open about her own struggles with mental illness to help remove the stigma. 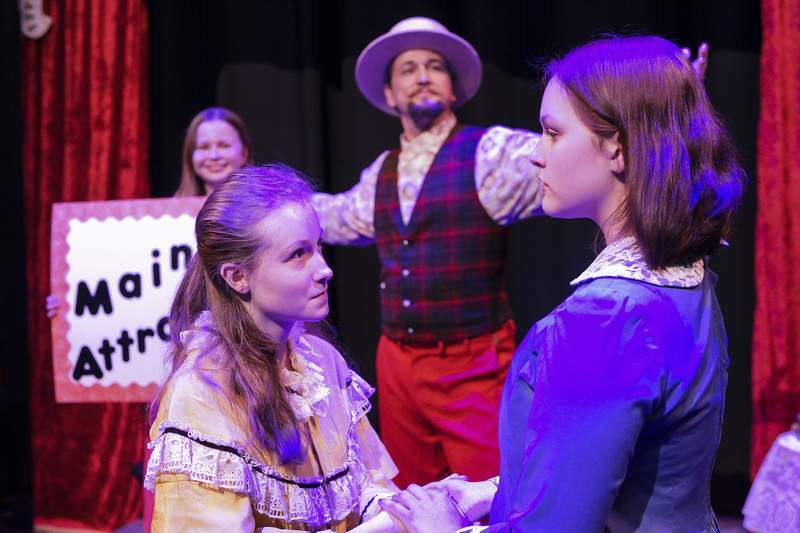 It is in that way the play confronts ignorance about disabilities and shows how Keller's bravery “really woke up the world to a sense of equality amongst people without disabilities and people with disabilities,” Stieber says. 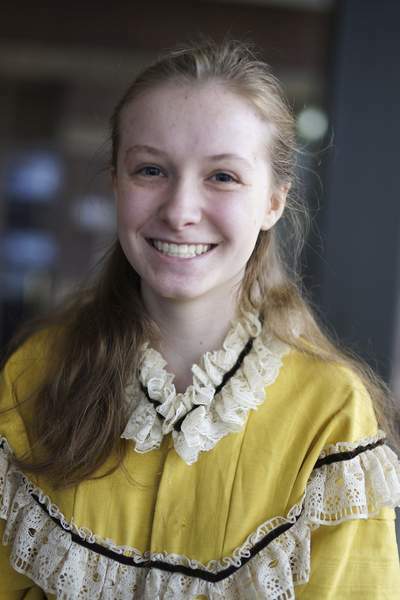 The play is the sixth installment of the Linda L. Ruffolo Young Heroes of Conscience Series, which includes “Little House on the Prairie: Mary's Story” from the 2013-14 Youtheatre season and later plays about Ryan White, Ruby Bridges, Anne Frank and Harriet Tubman. The latest play is giving several veteran actors of the Young Heroes series a chance to branch out into other production areas. Anthony Hayes, who played Ryan White in 2015, is now an 18-year-old senior at North Side High School. He will be directing five monologues for this weekend's show. Stieber knew Hayes was interested in directing and gave him the gig. Hayes has been a part of Youtheatre since the fourth grade when the group brought a class to Forest Park Elementary School and his mother encouraged him to try it out because he had a love of movies. Hayes has auditioned for at least one Youtheatre show every year. He has also been involved with theater as an actor at North Side and in personal projects written and filmed with friends. He will be student-directing a one-act piece at North Side in March. 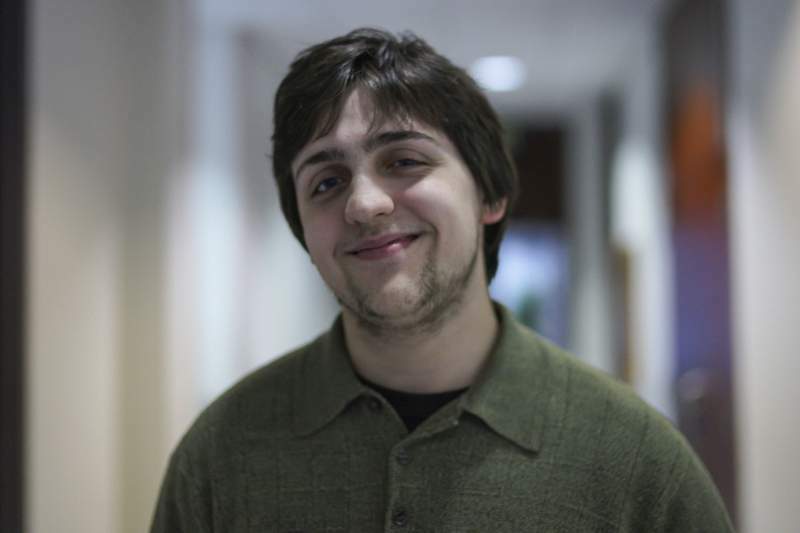 He credits Stieber as an influence in wanting to direct and is waiting for official word from Ball State University where the theater program has already accepted him for directing. Stieber says it has been a great experience to see the youth grow and participate year after year. “After the Miracle” lead actress Burke, who has been a part of all the Young Heroes shows, expressed an interest in writing and Stieber had a look at a play she wrote. He asked her to do some research and write a scene for the Keller play. He says the series has become like a big family with a lot of people coming back both onstage and behind the scenes. It is cool for him to see young people such as Hayes coming back to be on the production side of things. Directing pieces of “After the Miracle” is a bit of a full-circle moment for Hayes, who has been involved in every Young Heroes show except Anne Frank. He still gets recognized for “The Kid from Kokomo: The Ryan White Story.” Being a part of the series has been humbling, Hayes says. And he wants to keep giving back to Youtheatre, even if it is just working on lights and sound.